Thirty years is a long time. But you had to take out a 30-year mortgage in order to buy your home. 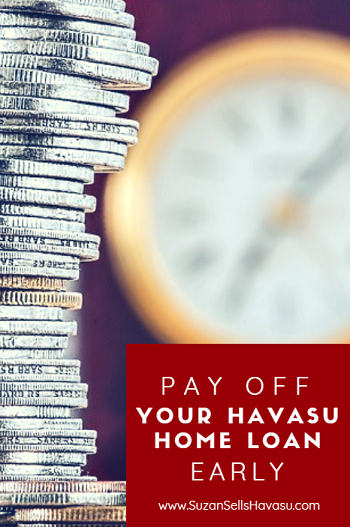 You want to pay off your Havasu home loan early. That's smart because you'll save thousands of dollars in interest that way. And you become the official sole owner of your property instead of you and your mortgage company. What if I told you there are ways you could do that without becoming a hermit and existing solely on peanut butter and jelly sandwiches? It's true! Is it a Good Time to Pay Off Your Havasu Home Loan? First, you need to determine if this is actually a good time to pay off your mortgage. It seems like a no-brainer. I mean, who wants this huge debt looming over their head every month? But, what about your other debts? High-interest credit cards or personal loans, for example. And what about an emergency fund? If you don't have a cache of three to six months' wages stashed away, you might want to build that up before tackling an early mortgage pay off. The same goes with high-interest debt. Consider taking care of these things first. Also, check with your lender to find out if they charge a penalty for paying off your mortgage early. (Some do, some don't.) Then, ask them if they accept extra payments any time of the year or if they relegate them only to specific times of the year. This should help you determine whether or not this will be worth it right now. Consider turning your 30-year fixed-rate loan into a 15-year loan. Why? Let's say you bought your Havasu home in June 2017. You paid $220,000 with a 4% interest rate. Your monthly payment comes out to about $1050 (including interest). If you continued paying that amount each month, you'll have paid a total of $158,113 in interest alone. 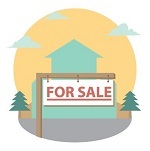 Switch over to a 15-year loan today on your current mortgage balance of $215,000 (for example) at 4.15% and your new payment comes to $1607 per month. While $550 per month might sound high, it really isn't when you consider what you save. Not only will you pay it off 14 years early, but you'll also save almost $84,000 in interest. Of course, you'll also have to pay loan fees to refinance. So, there's that cost to factor into the equation as well. Talk to your lender for a better picture of how this might affect you. I understand that biting the bullet by committing to a new 15-year mortgage sounds a little scary for some people. Even with the tremendous savings in interest payments, it still might illicit panic when you think about coming up with that much more money each month. Instead, consider making an extra payment each year. To do so, you can either split your current payment into 12 equal parts and pay that each month (an extra $88 per month based on your current $1050 mortgage, for example). Or, you can split your monthly payment in half and pay that every two weeks. By the end of 12 months, you'll have made 13 payments. Thus, one extra payment each year. Just by doing that, you pay off your loan four to five years early and save thousands of dollars in interest. Finally, whenever you receive "extra" money (a bonus at work, tax return, cash gift from family), send it off to your mortgage company to pay towards your Havasu home loan. In the memo line of your check, designate it for "principal only". Otherwise, your lender might divide it up between principal and interest like they do with your regular monthly payment. Due to the infrequency and varying amounts, it's much harder to predict how much faster you'll be able to pay off your mortgage loan. But, every little bit helps.